The reliance FX920 chair helps make the most out of your time and your practice space, with a compact design and memory programming that increases your efficiency. 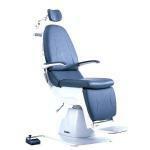 The S4OPTIK 1600-CH Ophthalmic Examination Chair features pneumatically assisted pivot tilting mechanism with one-handed release/control mechanism allows simple patient positioning with up to a 40 degree recline. 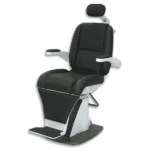 In addition to featuring this Pivot Tilt System with convenient Tilt Release Controls, the 1600-CH features a strong, yet silent Power Lift System, intelligent Rotation Lock, robust Foot Rest, functional Armrests, sensible Height Control locations, and improved Headrest design. 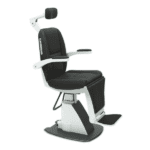 The S4Optik 2500-CH chair is the perfect choice for today’s modern practice. 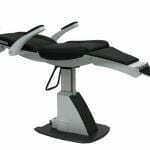 Featuring a precision engineered motorized recline system extends from a seated to a supine position or any position in between. 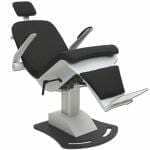 The 2500-CH Examination Chair also includes such features as convenient membrane buttons, a strong, yet silent Power Lift and Recline System, intelligent Rotation Lock, robust Foot Rest, functional Armrests, sensible Height Control locations, and an improved articulating Headrest design.